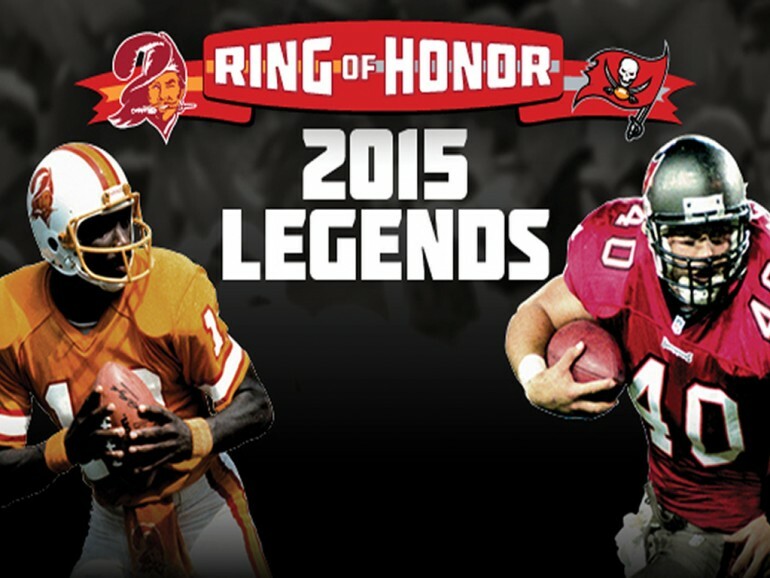 For the first time since its inception, the Buccaneers Ring of Honor will welcome two new members in 2015, as all-time fan favorites Mike Alstott and Doug Williams will be inducted in separate ceremonies. Williams and Alstott join previous inductees Lee Roy Selmon (2009), John McKay (2010), Jimmie Giles (2011), Paul Gruber (2012), Warren Sapp (2013) and Derrick Brooks (2014) in the Ring. They are the first quarterback and running back, respectively, to gain membership in that exclusive group. Their names and jersey numbers – 40 for Alstott, 12 for Williams – will be added to the Raymond James Stadium façade in a pair of home-game ceremonies this fall. Alstott will see his name unveiled first during the Buccaneers' October 4 game against the Carolina Panthers. Then, on December 6, Williams will have his day as Tampa Bay takes on the Atlanta Falcons. Both games kick off at 1:00 p.m. ET.